When I was a youngster, over 80 years ago, I used to be informed by my seniors about certain traditions, especially regarding my birthplace, Valletta. It would be very interesting if some knowledgeable person would inform us whether there is basis for believing in what we were told by our ancestors. 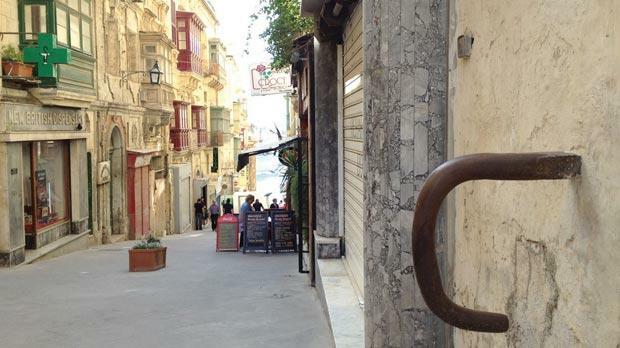 I was in Valletta a few days ago and, going down Merchants Street, corner with St John’s Street I noticed the large metal hook jutting out from the wall on the right hand side. I was, and still am, under the impression that this hook was originally installed in order to hoist the bells on the newly-constructed St John’s Co-Cathedral. Furthermore, when the British Navy was present in Malta, every midshipman aspiring to become an officer and advance in his career had to pass through this hook, otherwise he would be doomed to failure. It is said that one such youngster who underwent this experience was Lord Nelson. If anyone can shed any light on this matter we would be most grateful. Also, a few feet further up, and at a higher level, stands what we used to be told was a sort of pillory dating back to the times of the Knights. If there is even an iota of truth regarding the above, why do we not install a plaque describing it to tourists and Maltese alike? After all, most of the visitors to Brussels make it a point to view the Manneken Pis, which, in all probality, is only a myth.